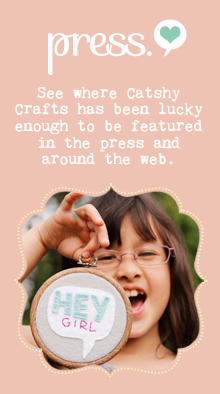 Catshy Crafts: Win $125 Worth of Prizes - It's a Catshy Crafts Giveaway! I looooove everything in your shop, ha! I have a special place in my heart for the custom ones that you made me! 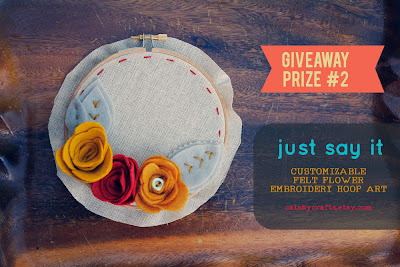 I have always loved the personalized name one: https://www.etsy.com/listing/86562154/personalized-name-sign-embroidery-hoop?ref=shop_home_feat so beautiful! I love the "love me knot" hoop art. But really, everything is cute! Ooh it is a toss up between the cloud hoop art and the 3 d felt birds. So hard to choose, everything is so beautiful! 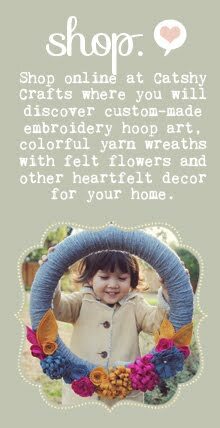 But since I'm expecting my first child, I would love a personalized name hoop for the nursery! Hi Cathy- what an awesome giveaway you're doing! 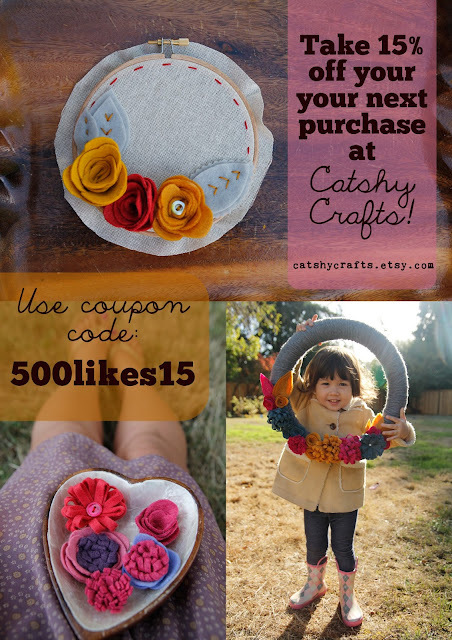 I love all your creations, but especially love the Mini Embroidery Hoop Art Felt Heart Flower Nursery Decor. Congratulations on getting 500 likes!! 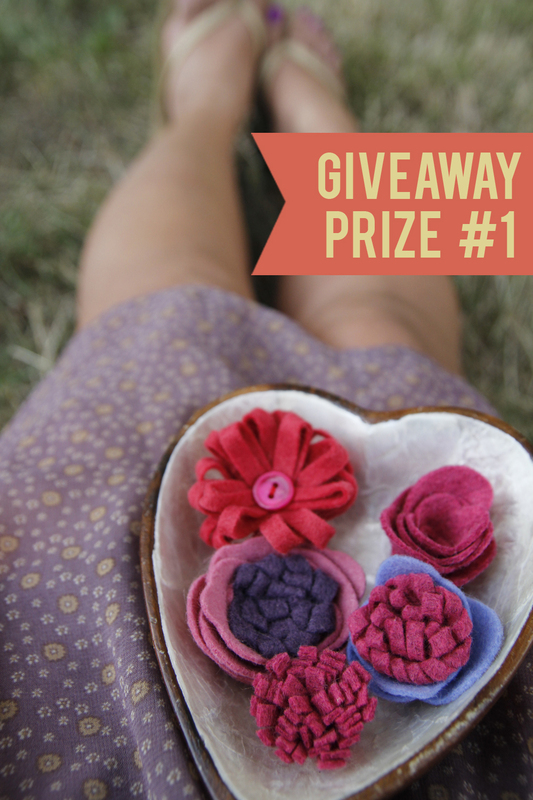 FAB giveaways! Congrats on reaching 500 FB likes! Love the shop! Great giveaway you know I love all your work! oh crossing my fingers for the wreath!! You know I love you Cathy! 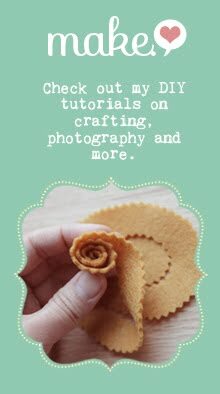 Your blog is so so cute too!!! 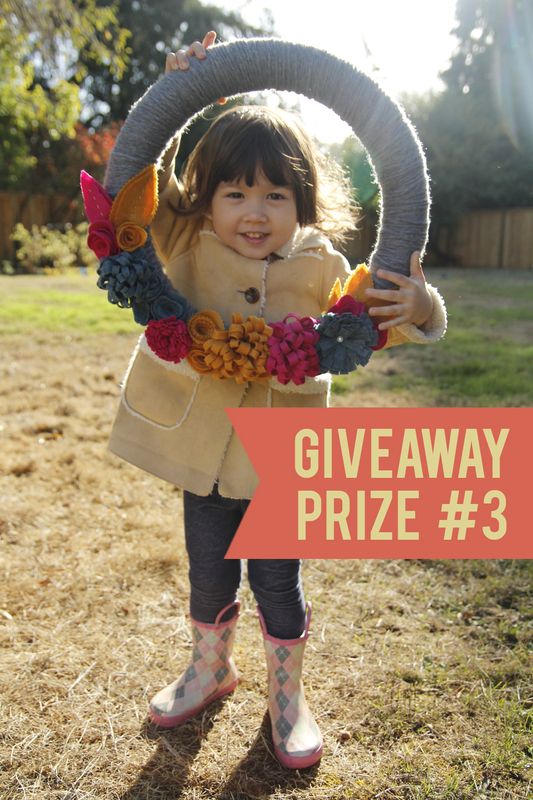 I love the Yarn Wrapped Autumn Wreath the most! Congrats on reaching 500 fans! FABULOUS!! LOVE LOVE LOVE the hot air balloon design! I love the 3 felt birds! So cute!! I like the yarn wreath. All your things are so cute and unique! You're so talented, Cathy! Thanks for sharing!